This is an interactive web-based biochemistry text that I created for my upper division biochemistry class over the past five years. 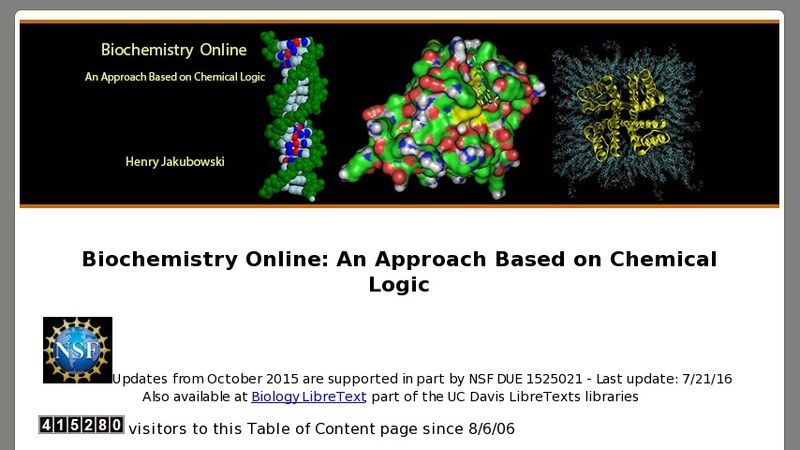 The book - Biochemistry Online: An Approach Basedon Chemical Logic - is based on a unique sequencing and approach to a one semester, or the first of a two semester, biochemistry course. I have published a manuscript describing this new approach. (Jakubowski, H. and Owen, W.G. The Teaching of Biochemistry: An Innovative Course Sequence Based on the Logic of Chemistry, Journal of Chemical Education, 75, 734-736, 1998).